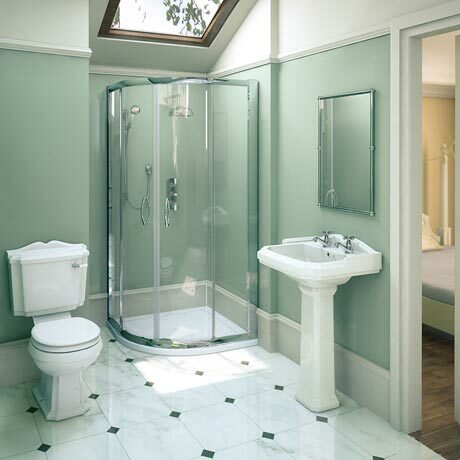 This en suite bathroom package has been created to provide an excellent solution for those looking to install a beautiful traditional en-suite bathroom. The Oxford En Suite Bathroom features a 4-piece Oxford traditional ceramic bathroom suite, perfect for providing a period look in any home. In addition this set also contains the stylish Ella shower quadrant with sliding door entry, pearlstone shower tray and free waste. Q. Does the suite include an electric shower? What quality for the money, shower far better than I expected I would highly recommend this suite.